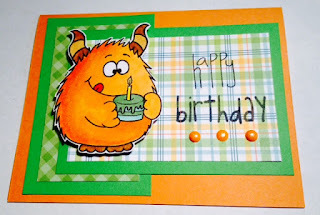 Hello, Today I want to share this cute monster card I made for Gerda Steiner Design's monthly challenge. 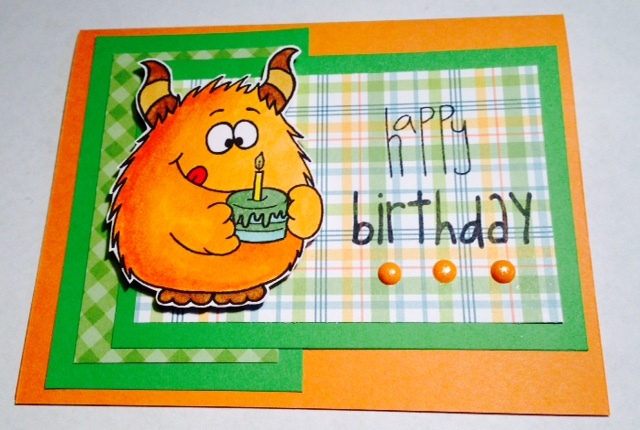 Such a bright little monster! Love your choice of colours.